Dr. Minesh Patel is a dentist from Bedford. Read his blog here. Dr Minesh Patel is the principle dentist at Chrysalis Dental Practice with practices in Bedford and Watford. Chrysalis provides a full range of private, cosmetic and specialist dental treatments. Chrysalis is an established Cosmetic Dental Practice with a primary emphasis on quality dental treatments, cosmetic dentistry and aesthetic improvements. 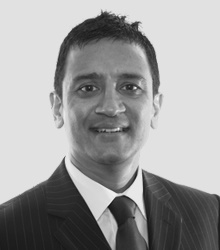 Their principle dentist, Dr Minesh Patel, has over 20 years of Implant dentistry experience. The practice uses the very latest in cosmetic treatments, which can greatly enhance the appearance of your teeth and smile. It’s very important to attend regular hygiene appointment and dental check-ups, Chrysalis Dental Practice makes it their priority to makes sure your gums and teeth are healthy. The practice will provide professional and knowledgeable advice on how you can keep your gums healthy. Some of the general treatments Chrysalis Dental Practice provides are Root Canal Therapy, Jaw Problems, Snoring, Extractions/Oral Surgery and Dental Implants. Losing some teeth can really affect your confidence, and affect your everyday life. Chrysalis Dental Practice are here to help you restore your smile. Some treatments they provide are Crowns,Bridges,Dentures,Denture, Stabillisation, Conscious Sedation and Sinus Lift. Find out more about Dr Minesh Patel dentist and Chrysalis Dental Practice here. Connect with Dr Minesh Patel Bedford here. © 2017 Dr Minesh Patel | Created using ThemeXpose Framework. All Rights Reserved.